Guest Paul Filmer joins the Airplane Geeks to talk about current aviation news. Paul is Stateside Editor and Database Administrator for Global Aviation Resource, he contributes to Combat Aircraft Magazine, and you can find his personal page at skippyscage.com/. 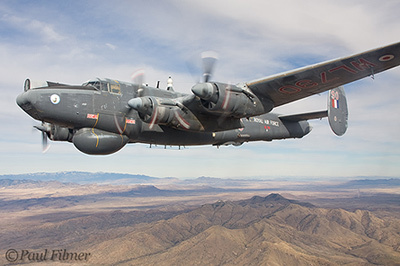 Paul is an accomplished aviation photographer and you can find his work at those sites. David Vanderhoof gives us This Week in Aviation, and Steve Visscher and Grant McHerron from the Plane Crazy Down Under podcast have their Australia Desk report. This entry was posted in Episodes and tagged Airbus, ANA, Boeing, Continental, DOT, Hawker, incident, Passenger Bill of Rights, Ryanair, terrorism, UAV, United on December 28, 2009 by maxflight. Who was that guy, anyway?? no worries Steve it was “tongue firmly in cheek” as I know you Aussies like a laugh. I understand completely mate – no worries at all. I have been checking out your website, and I’m blown away by the quality of the pictures. Awesome. When Max isn’t paying attention, we’ll have to “borrow” you for an episode of an Aussie based aviation podcast. We’re planning an aviation photography show in 2010 to cater for frustrated souls such as myself who can never get their pictures accepted by airliners.net these days! I was calmly enjoying the podcast until the subject of the new DOT rules regarding “stranded passengers” came up for discussion. This is a perfect example of a solution searching for a problem. Knowing that a delay in excess of 3:00 had never happened to me in my 30+ years of operating out of the world’s busiest airport (ATL), I went looking for some relevant statistics. The latest data available show that ATL, in July 09, had 38,259 flights. Of these, 2 had such a delay. System wide in July, 09, Delta had 37,145 flights, and 18 delays over 3:00. What is the point of the DOT getting involved? For once, I agree with my former employer when it says that the upshot will be many more complaints about canceled flights than about the excessive delays. Assuming the lavs and air conditioning are working, in my view, there will 20 – 30 passengers who desire that the flight to continue moving toward takeoff for every 1 passenger who wishes to be taken back to the gate to deplane. I would pay to be in the ATL tower when/if a large number of such delays developed for outbound flights (wx stops, etc). Since the inbound flights continue to arrive at a steady rate, the gates tend to be filled all the time. Even on a normal day, an inbound often must wait for the outbound to clear the gate before pulling in to deplane. Once significant delays develop on the outbound taxi ways, then the airline will cope by holding the not-yet-pushed aircraft in their gates. Result? There will be no empty gates for the “over 3:00” flight to return to in order to let the passengers deplane. Gridlock won’t even begin to describe it. On a far more pleasant note, I had a beautiful trip in the Citation on the Sunday after Christmas. Blue skies, sparkling white snow for the pickup at JYO, and then a balmy drop off at SSI. All was right with the world and thoughts of congested taxi ways at ATL were furthest from my mind. Kim: I agree that the DOT rules are going to cause problems, more problems than they solve. I also agree that long delays are rare. But it’s the few nightmare situations that get all the press and therefore the attention of the DOT. The government just can’t ignore stories about screaming babies with no clean diapers left while they sit out on the tarmac. It only has to happen a few times. It would have been better if the airlines had gotten out ahead of this so they could control it and avoid all the outside “help.” Even when it’s almost never a real problem. Regulate thyself or be regulated by others! fyi – regarding the emirates 340 bulkhead fix.. There was an episode on “World’s Toughest Fixes” on National Geographic channel on replacing the pressure bulkhead of a B-763ER.